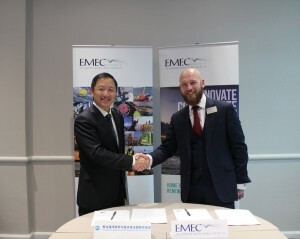 The European Marine Energy Centre (EMEC), based in Orkney, Scotland, will support Qingdao Pilot National Laboratory for Marine Science and Technology (QNLM) to develop the first wave and tidal test centre for marine energy converters (MECs) in China. Paul Wheelhouse, Energy Minister, Scottish Government welcomed the news that Scotland’s world-leading strengths in marine energy were helping to “realise the economic and environmental benefits of marine energy for both Scotland and partners around the world”. EMEC has more than 15 years of experience in the design, build and operation of its marine energy test facilities. As a result, EMEC is now exporting its wealth of marine energy knowledge and expertise to assist other countries in establishing their own marine energy centres. 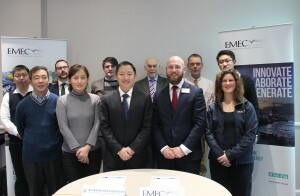 For the past seven years EMEC have worked alongside QNLM and Ocean University of China (OUC), proving support and guidance to create a test centre for marine energy converters in China. The test site will provide a model for how future test facilities will be established across China. The test centre will be situated in the Shandong Provence, south of Qingdao near Zhaitang Island. The location has ideal conditions for testing wave and tidal energy technologies. Scheduled to be in operation by 2020, the test site will consist of two offshore sites – one for wave and one for tidal – sharing one onshore substation. Each site will be connected to Zhaitang Island’s grid via a subsea cable with a rated capacity of 200kW. Sensors and monitoring equipment for marine energy converters will also be installed, which will be directly connected and monitored. EMEC will provide support with the design and technical specifications for the test centre, including subsea cables, connectors, substation and microgrid, as well as guidance on the data acquisition system to enable integrated environmental monitoring at the test site. As the only accredited marine energy test laboratory in the world, EMEC will also guide standard operating and certification procedures, and test protocols for wave energy converter performance and grid compliance. “This is a big deal for EMEC, but also for the marine sectors in China and Europe. The marine energy opportunity is a global one, and we’re ready to work with anyone who is serious about making it happen. “EMEC is a globally acknowledged leader in its field and has had a significant positive impact on the local, Scottish and UK economies. I welcome EMEC’s diversification activity and willingness to engage with a wide range of partners, including the Qingdao Pilot National Laboratory. “The marine energy industry has taken momentous steps forward in recent years, and the Scottish Government are proud to have supported that through a number of initiatives, including the recent announcement of £10 million of available funding through our Saltire Tidal Energy Challenge Fund. “There is a vast resource of marine renewable energy in China, but its development is still in the initial stages. We know that there is a long way to go, but by collaborating with EMEC who have the experience and expertise, we’re hoping we can make some shortcuts.